Join conversations about the complex identities that form the region. 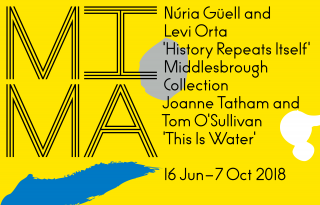 This Is Water, an exhibition at Middlesbrough’s Institute of Modern Art (MIMA), is looking at the long histories of migration that have forged the current shape of the UK. It is about the rich languages, cultures and identities that are formed by many ethnicities and nationalities coming together. And it highlights the dominance that some groups of people hold over others and the damage that racism continues to have. As the UK breaks from the European Union and pursues austerity and anti-immigration agendas discussions around xenophobia, social cohesion and the state of multi-culturalism are increasingly relevant. At the same time, vital voices are sharing the experiences of people of colour in the UK through music, journalism, fictional writing and art. Histories of black Britons as far back as Roman times are gaining attention. Middlesbrough is a town founded on the rapid immigration of workers in the nineteenth century. And in order to support understanding and solidarity, this project finds commonalities and shared experiences between those who are now considered white but who were once excluded on terms of ethnicity and race, e.g. the Irish or Italians, and those who continue to be marginalised e.g. Eritreans and Pakistanis. The exhibition includes art, personal memorabilia, and archival documents and films, and materials from Teesside Archives and North East Film Archives which share some of the area’s nuanced histories. Quotations, poems, articles and videos bring broader perspectives on the experiences of people of colour in the UK, and how current policies are impacting people’s lives. 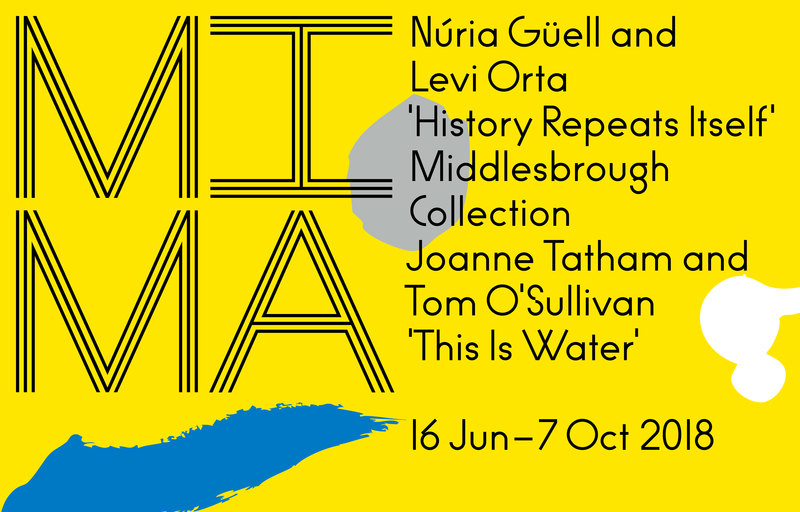 During the exhibition, MIMA is creating a repository of the stories and voices from the Tees Valley and asks the public to join conversations about the complex identities that form the region. This gathering of untold stories is to create a platform for overlooked voices. The show includes eight artists: Nika Autor, Lucy Bridger, Ladan Hussein (Cold Specks) and Seth Pimlott, Jasleen Kaur, Andreja Kulunčić, Alenka Pirman, Erika Tan, and Katarina Zdjelar. Their works raise topics as varied as how we imagine foreign peoples and places, the rights and experiences of migrant workers in the EU, and the continuing impact of the British Empire. Nika Autor, for example, represented Slovenia at the 2017 Venice Biennale. Her multidisciplinary work addresses effects that various forms of representation in media have on matters of social, political, and economic significance. Through a collective she founded, Newsreel Front (Obzorniška Fronta), Autor creates short films and writes criticism that interrogates the use of newsreels in Slovenia as a form of political cinema to further an ideological agenda. Other interests include research in the realm of “invisibilities/inaudibilities”. This is Water has been funded with support from the European Commission as part of New Mappings of Europe, a two-year collaborative project of four art and cultural institutions from Serbia, Slovenia, Austria and the United Kingdom. The project is to generate knowledge about the migrants’ cultural heritage in Europe and to make cultural and art institutions more accessible to local communities of migrants of the first and second generations as well as to the new communities of asylum seekers and refugees. So the aim of the project is twofold: on the one hand to deal with past phenomena related to migrations, and, on the other, to link these phenomena to current migrations. This Is Water runs until 7 October 2018. For more information, click here.